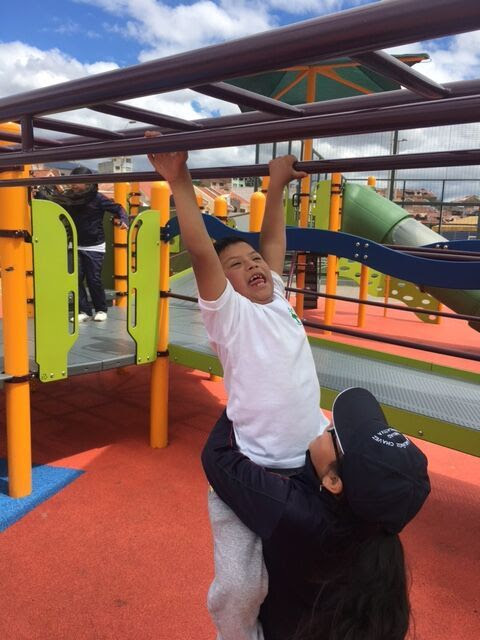 Two weeks ago, Shane’s Inspiration had the honor of returning to Cuenca, Ecuador…the site of the first fully-inclusive playground in the Country, which we celebrated the opening of in November, 2013. 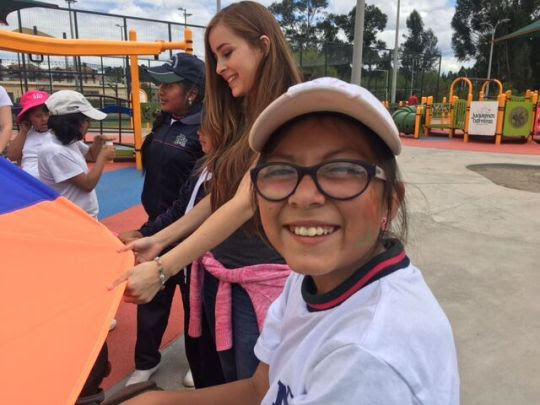 Our goal was to help the City’s municipal agency, Accion Social, launch school and community programs that help utilize the inclusive playground as a classroom, teaching children to grow beyond their differences and discover common ground. It was a great success! Day 1, 11/7: Thanks to Accion Social, we held a 4-hour social inclusion training with approximately 60 college students, professors, and city employees. 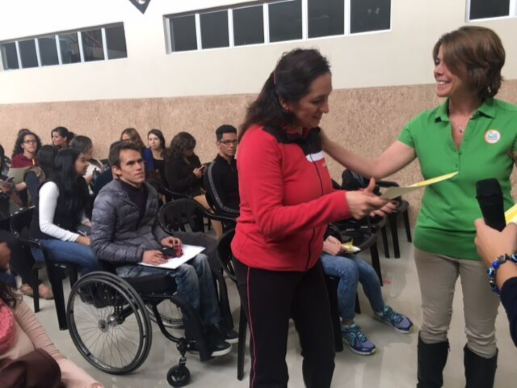 We walked them through all three steps of Together, We Are Able, discussed ways to support children with Autism on the playground and distributed 20 copies of our curriculum in Spanish. 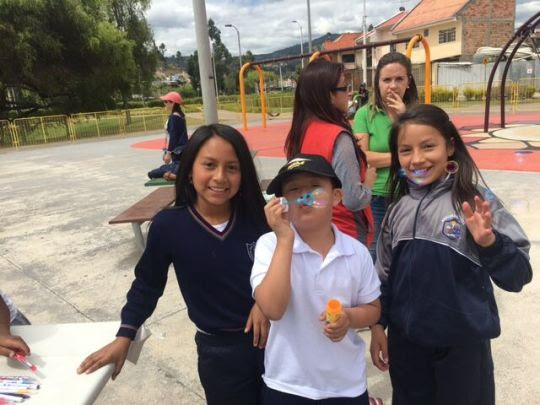 Day 2, 11/8: Forty 10-year-olds from Herlinda School participated in our first school workshop, translated by the amazing Andrea Costales (who worked in former Vice President Lenin Moreno’s office, which initiated the playground project). They were highly engaged! Most students were nervous and afraid to play with their buddies. Day 3, 11/9: We began the day with a formal signing of a document that states our shared commitment to inclusion with the City of Cuenca and presented a plaque to Mayor Marcelo Cabrera’s wife, Senora Velez. 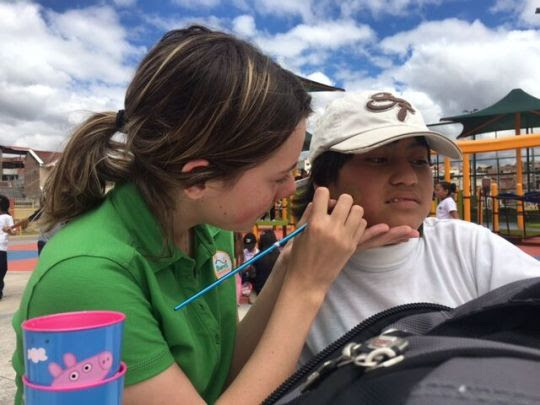 The true power came after the speeches: 60 kids with and without disabilities christened the playground with the very first fully-inclusive field trip there! Volunteers from Monday’s training returned to facilitate the play and interaction. Day 4, 11/10: The week ended with a return trip to the classroom. Both sets of students learned that, regardless of how they move/learn/communicate, they are kids. Over and over, the students asked: “When are we going to see our buddies? Give us a date! Can we play together before Christmas?” From fear to friendship…. 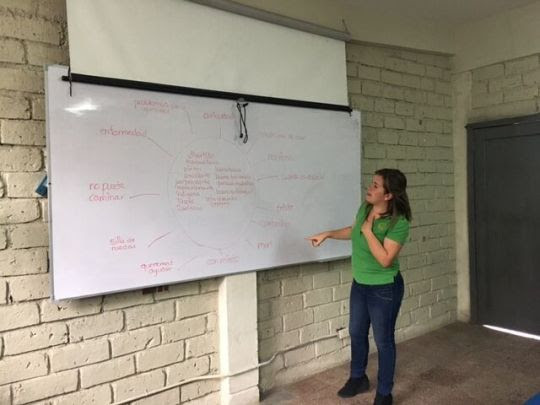 After leaving Herlinda, our team met and created a strategic plan to sustain the social inclusion efforts. A community meeting later yielded a commitment by two non-profits to gather their families at the playground monthly for My PlayClub. 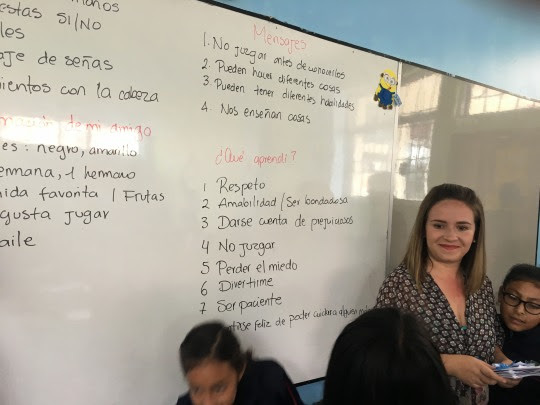 Shane’s Inspiration is truly grateful to our partners in Cuenca, who are working to create sustainable social inclusion for ALL their children!